Looks like the ListenAgain widget has played it's last tune. 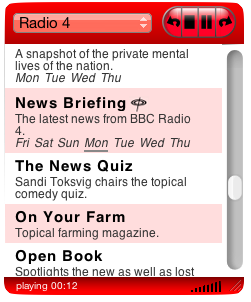 The widget works by gathering the radio programme information from the iPlayer website. Sometimes the BBC changes the layout of the iPlayer site slightly forcing me to tweak the widget to adapt to the new layout. Unfortunately this time it looks like the changes were much larger, at least internally, and I can't seem to find the URL for the Real Audio stream of each programme. In fact it doesn't look like they use Real Audio at all anymore - only Flash. This spells the end for the widget I think, from now on you'll have to listen directly with iPlayer. 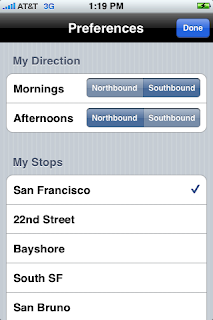 I've reposted the MyCaltrain iPhone app to the app store and updated the schedule due to popular request - depending on your definition of popular - it's currently undergoing Apple review and if it passes it should be available in a few days. If you like it, please take the time to give it a nice review. 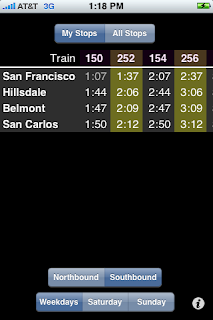 If you'd like to have a go at updating the Caltrain widget to the new schedule, then here's the source code. 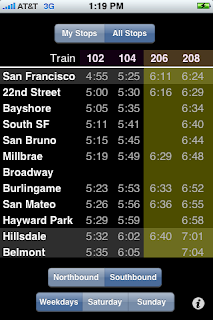 The schedules are stored in the app as text files which were created by cut and pasting the timetable from a page on Caltrain's website. As long as the text file format is the same, you should be able to do the update, rebuild and test. The source code is licensed under the GPL. Let me know if you get something working. 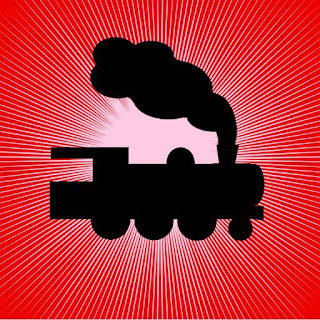 The Caltrain schedule undergoes a revision this week, as the app isn't up to date I am withdrawing it from sale to prevent confusion for riders. As I currently don't ride Caltrain, and because the app is given away for free, I can't justify spending time on this project anymore - so I currently have no plans to update it and bring it back. Thanks to everyone who used the app and liked it, especially the guy who gave it the stella review. If you like the app and fancy a bit of iPhone development I am more than willing to send or post the code so you can update it and put it back up for (free) distribution. Please email me or post a comment if interested. Listen to the large archive of recent BBC Radio programmes directly from Dashboard. Currently supports: Radio 1, 1xtra, Radio 2, Radio 3, Radio 4, 5 live, 5 extra, 6 Music, 7, Asian Network, Radio Scotland, Radio Ulster, Radio Wales, and all local radio. 55 stations in total. - Pressing the 'v' key will enable additional spoken feedback.